6 commonly overlooked factors, and tips for addressing them in 2017. Lost revenue – is understaffing costing your business in the form of long wait times or poor service? 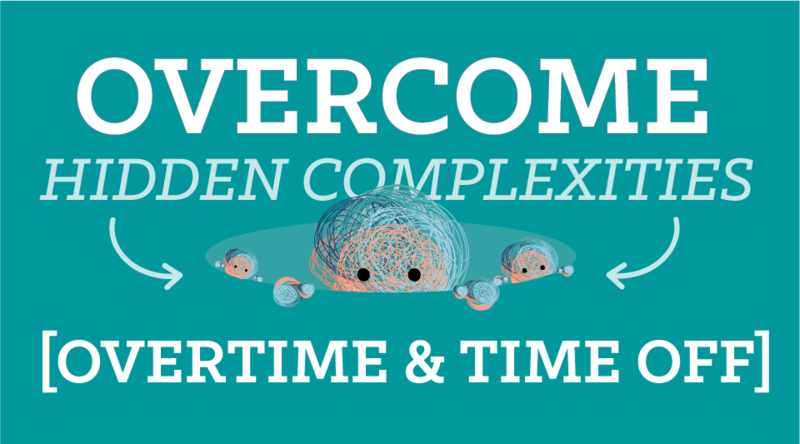 Overtime – for some companies, one hour of overtime can eliminate the profit margin for an entire shift. Customer satisfaction – poor service can impact future revenue if enough negative customer experiences damage your reputation. Distraction – keeping track of details like who’s available, who’s on vacation, or who’s sick can steal time away from the core responsibilities of your job. Employee churn – morale directly affects your company culture, and dissatisfaction with hours or lack of advanced shift notice can create a toxic environment that hurts retention. Stress – issues like last-minute call-outs or poor demand planning can increase anxiety levels for managers, employees, and customers. Recognizing the different types of scheduling is essential to properly coordinating your organization. 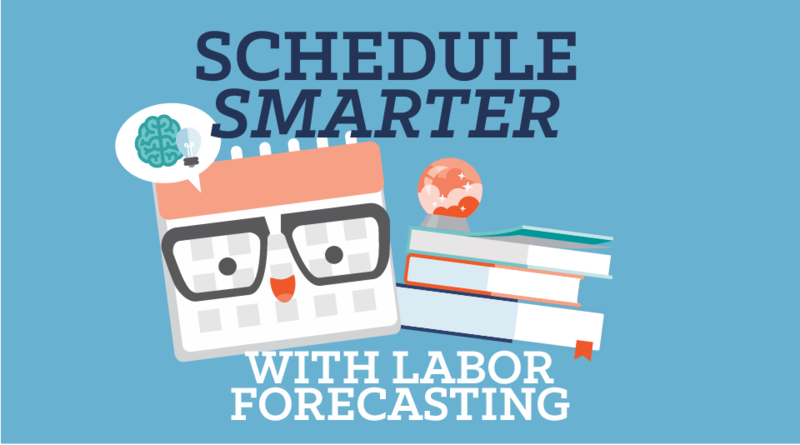 Unfortunately, it’s easy to underestimate the complicating factors that you must account for when setting a schedule. If staffing needs go largely unchanged from week to week, then your needs are simple. However, most organizations have to take more than a few vacation days into account each week. And many of these important elements are unique to your organization and can vary by the day. There is an art to dealing with these fluid circumstances, but they also require a lot of detailed planning. Identifying how much work you’re doing, and what can be delegated, is central to optimizing your efforts. Understand costs – record the expenses tied to things like overtime and churn will help determine how best to approach simplifying your scheduling. Discover your process – before you try to systematize your schedule, walk through and identify the steps you take to get the right people to the right place at the right time. Get a fresh perspective – having someone else build your schedule helps pinpoint things you may be talking for granted, so you can map out your needs and processes more accurately. Document processes – as you flush out the steps necessary to build your schedules, put them down on paper so it’s easier to separate out the tasks you can automate. Consolidate inefficiencies – another benefit of documenting your scheduling is a big picture overview that can help you identify and eliminate redundancy. Automate where possible – now that you better understand your schedule, take advantage of tools that can do some of the heavy lifting for you. This frees you up to tackle bigger challenges. Engage your team – a consistent connection with your people helps keep everyone on the same page, enhancing all the prep work you’ve done. Maintaining a real-time connection with among group of people is a difficult proposition – no matter what type of organization you’re talking about. However, the ability to instantly connect with your staff is key to handling complicated situations with agility. Communication is a two-way street. So keep that reciprocal relationship in mind when handling your scheduling. Think about how your staff prefers to communicate as well as the most effective way for them to get in touch with you. Catering communications to the channels your people use most, you’re more likely to find a more receptive audience. Additionally, determining your communication needs allows you to send and receive messages more efficiently, and in a format that works best for you. The more connected your organization is, the more effectively you can operate. Once you have a deeper understanding of the demands of your organization, you can assess what you need in a scheduling solution. Does the solution address your needs? What is the financial value of paying for scheduling software? 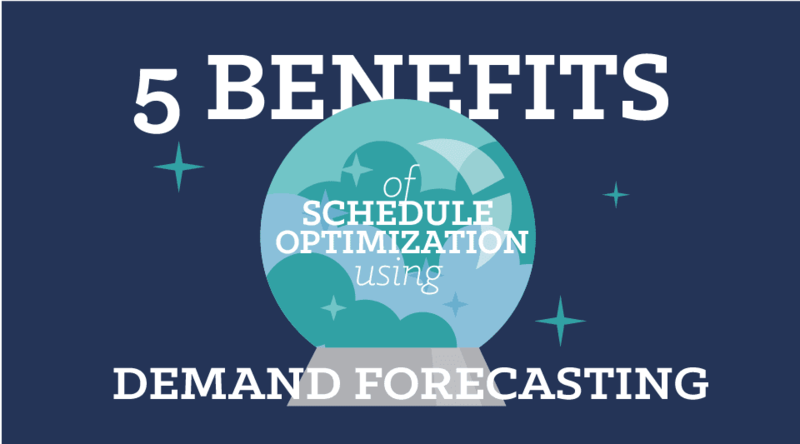 How quickly can you get up and running with a new scheduling solution? 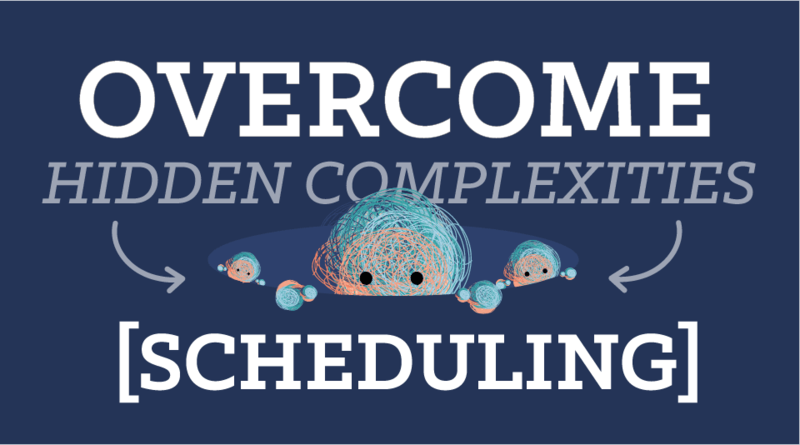 The list goes on, and there are countless options out there for tackling scheduling challenges. That’s why it’s important that you find a solution that can adapt to the specifics of your operation. For additional insights around discovering scheduling complexities and evaluating options for solving your people management challenges, check out the full webinar.